Mumbai’s weather is not too extreme but it would be better if you could avoid the monsoon season. October to February is the best time to visit Mumbai among all other seasons. Which are the top 5 must visit places in Mumbai? Gateway of India, Elephanta Caves, Colaba Causeway Market, Juhu Beach, and Film City are the top 5 places which every tourist must explore and enjoy on his Mumbai visit. 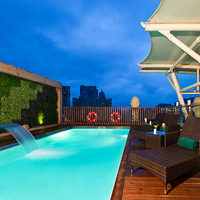 How can I get attractive discounts on hotels in Mumbai? One can go through the online travel sites like Cleartrip, where all sorts of hotels from budget hotels and boutique hotels to 5-star hotels in Mumbai are available. You can also use a valid coupon code to avail the best deal. Price comparison is essential. Can unmarried couples stay in hotels in Mumbai? Yes there are many hotels in Mumbai where unmarried couples are allowed. However, it is essential to carry their valid ID proof (such as voter ID, Aadhar card, etc). You may have to show your ID at the time of checking in. 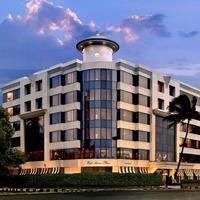 How can I find Juhu Beach hotels? How do I book hotels in Mumbai near beach? Enter the location as “Mumbai followed by specific beach” in the Where location filter on the Cleartrip website hotels page. 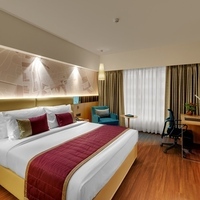 Or Go directly to Mumbai Hotels page from the link in the Cleartrip footer.Lists of hotels on or near the specified beach will be listed and you can shortlist and choose as per your choice and budget. Do Mumbai hotels offer wheelchair facility? There are some hotels which provide this facility. However, one should contact the hotel and get confirmation on this matter before booking. What can I buy from Mumbai? You can buy artwork, saris or any other clothing, costume jewellery, postcards, bollywood posters, decor item and local spices as well. Can you tell which are the popular Mumbai night clubs? 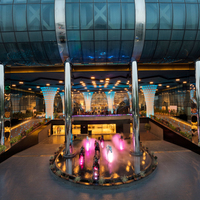 Mumbai offer some of the best night clubs, such as Birla Centurion, Skyzone, Atria- the Millenium Mall, Four Seasons Hotel and so on. These are the perfect night club options to explore. Can you list the top 5 beaches in Mumbai? The best five beaches of Mumbai are Aksa, Juhu, Chowpatty, Madh-Island, Gorai beach. What are the famous sightseeing spots in Mumbai? The dream city of Mumbai offers excellent spots to visit, such as Marine Drive, Gateway of India, Kanheri caves, Bandra-Worli Sea Link, Shree Siddhivinayak temple, Haji Ali, Colaba Causeway street market, Mahakali Dhobi Ghat, Dharavi Slum and more. What are some must do things in Mumbai? Suggest a few top party places in Mumbai? You can hang-out with your friends and party at Mumbai’s dance floors, retro bars, night clubs, and city’s by lanes, live music scene etc. Choose your favourite and preferable spot to go out with your near and dear ones. What activities and experiences can I enjoy in Mumbai? You can go for outdoor activities like theme parks, go karting and golf, etc. Adventurous experiences like exploring the wild life, camping, rafting, yachting, paragliding, water sports, scuba diving, and zip lining, etc. You can also go for resort day outings. 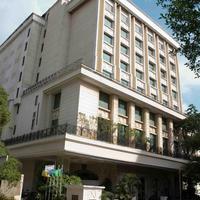 How to book a room for international guests near Juhu beach Mumbai? 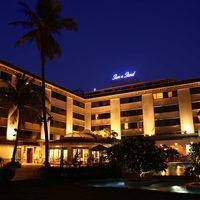 Go to the Mumbai Hotels page from the link on Cleartrip Hotels Page footer, and select Juhu beach from the Locality dropdown. 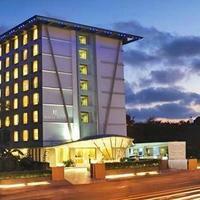 The hotels in Juhu will get listed and you can book suitably. From where can I book a good resort for a day outing in Mumbai? 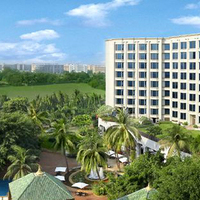 Day outing at a resort in Mumbai is a great way to spend a day with family and friends. 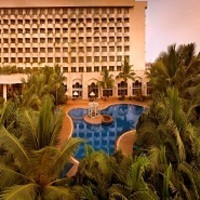 Cleartrip offers amazing resort day outing options in Mumbai. 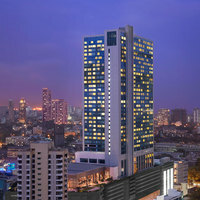 Can you name some 5-star hotels in Mumbai? 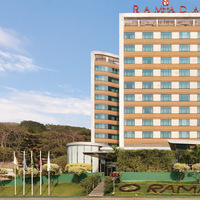 The Orchid, ITC Grand Central, Sahara Star, The Lalit Mumbai, JW Marriot Mumbai Sahar are a few 5 star hotels in Mumbai. Get the best deal at Cleartrip.com and many more benefits too. Can you list some beach hotels in North Mumbai? 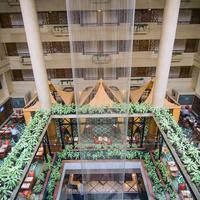 In North Mumbai, Roadway Inn, La Quinta Inn North Myrtle Beach, Comfort Inn are few top options. To gather more info, you can choose North Mumbai from the ‘Hotels By Region’ drop-down on the Mumbai Hotels page on Cleartrip. 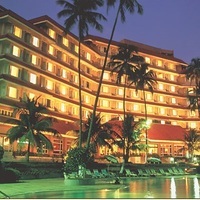 Can you name some beach resorts in Mumbai? Golden Toff Resort, Pali Beach Resort, The Resort, River Winds Resort are some beach resorts in Mumbai . 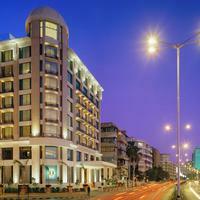 What are the top hotels to stay at Mumbai? 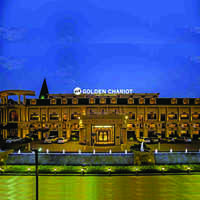 Looking for top luxurious hotels to have exciting stay? 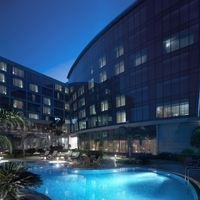 Then you can go for The Lalit Mumbai, Radisson Blu Square, JW Marriot, The Oberoi and The Leela Mumbai. How far is Juhu Beach Mumbai from Marine Drive? While driving to Juhu beach from Marine Drive, it hardly takes 26 to 30 minutes. Total distance covered in this is 22 km. Where can I enjoy best dinner buffets in Mumbai? The top listed places to enjoy a delicious dinner buffets in Mumbai is at 24/7, The Earth Plate, The Regale by Tunga and more. There are options of veg, non-veg and multi-cuisine buffets. What are the top places of interest in Mumbai? Gateway of India, Chhatrapati Shivaji Terminus, Haji Ali, shopping at Colaba Causeway, Taj Mahal Palace, Chor Bazar are few top places of interest in Mumbai. Can you tell me about some beach hotels in Mumbai? Well, you can try some great beach hotels in Mumbai like Comfort Inn, Roadway Inn, Sun N Sand hotel, and Hotel Sea Princess. The ambience offered by these hotels is unmatchable. The mega city which never sleeps has enticing nightlife options. One can admire the beauty of nearby beaches, party at night clubs, and spend some amazing time on the dance floors. Are there any villas near Juhu Beach? 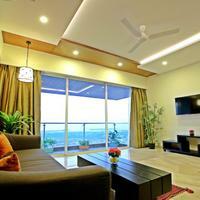 Yes, there are many options of villas near Juhu beach which are available on rental or sale basis. Check out Cleartrip.com for more info. Is parking facility available at Juhu beach hotels? 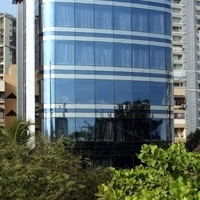 Almost every hotel near Juhu beach has parking facilities. Some have pay and park facility while some have free parking facility. Hotels located close to the beach even offer valet parking. Do beach hotels in Mumbai offer bar facility? Yes, there are many beach hotels which offer bar facility. 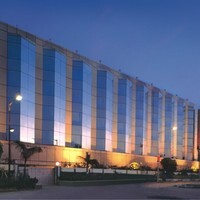 Novotel is one such hotel you can consider. 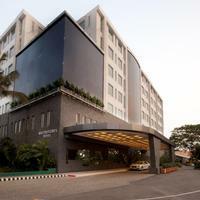 Check out more hotels in Mumbai with bar on Cleartrip. Where can I go for weekend gateways from Mumbai? From Mumbai, one can opt for places like Goa, Nashik, Lonavala, Pune for weekend gateways. Most of the travellers prefer road trip for these destinations.